It’s a spectacular trip—the drive is a reason in itself for visiting the desert. 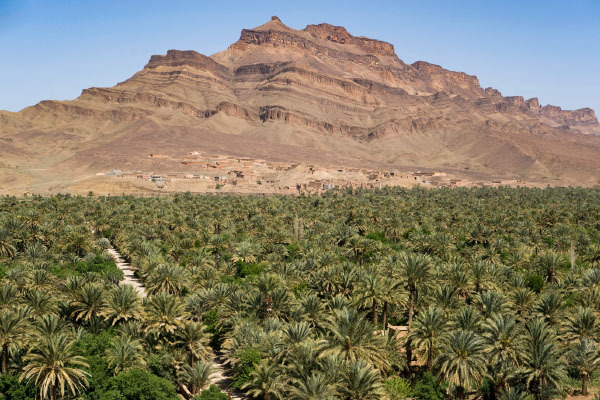 It’s an eclectic mix of mountain passes, lush valleys, Berber villages clinging to the mountain side, dilapidated kasbahs, palm groves and awe inspiring rock formations. 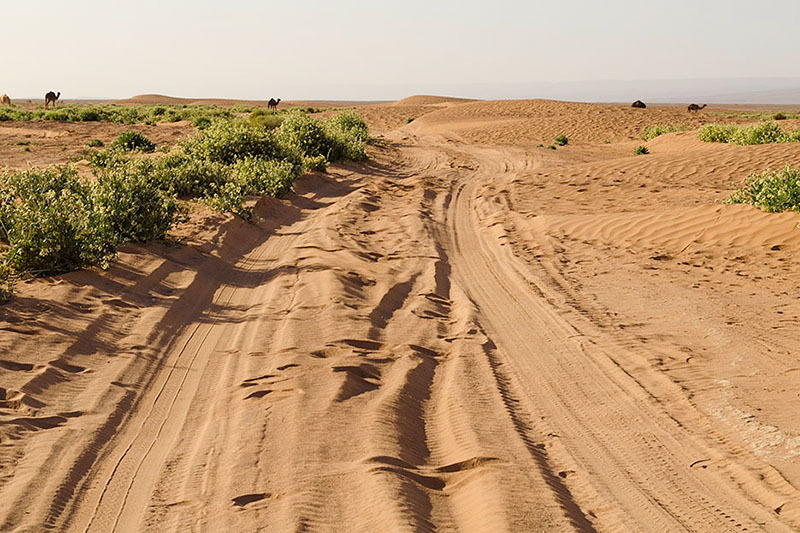 It is simply an exciting voyage, away from the frenetic activity of Marrakech to the calm and open vistas of the desert. 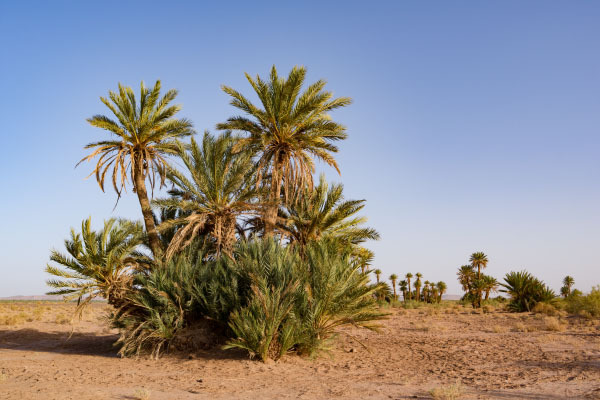 Ideally, the preferred itinerary, provided you have time, is to spend one night at a guesthouse en route to the desert, three nights in the desert and then return to Marrakech in one trip via Foum Zguid (this being a circular route). 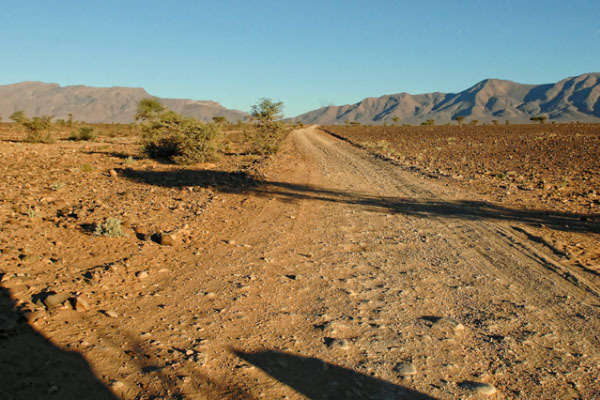 However, if you don’t have so much time available, you can either drive direct to the desert, or reduce the length of stay at the camp to two nights. So, if you are going directly to the camp from Marrakech, we suggest you depart as early as possible. 07:00 is a good time, but you can depart at 06:00 if you prefer a really early start. If staying en route, a departure sometime after breakfast is fine. Depart Marrakech. After about 45 minutes one starts climbing, and after a further 90 minutes you reach the top of the Tizi n’Tichka pass (elevation 2260 metres). However, it can take longer because there are limitless photo opportunities. 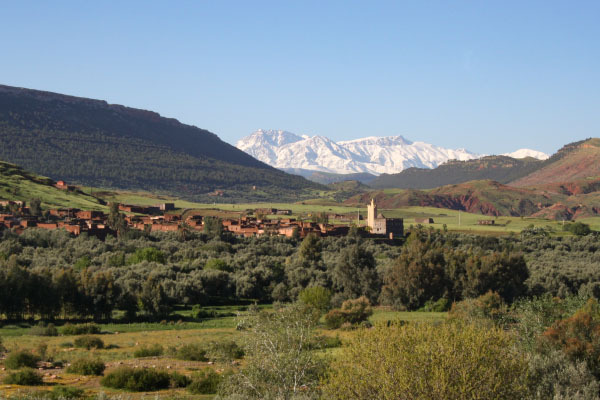 If staying at a guesthouse en route you have time to turn off the main road and take the spectacular route via Telouet and the Ksar of Aït Benhaddou before re-joining the road about 2 hours later. This is the Ounila Valley, which is full of dramatic vistas. 40 minutes after the turn off is Telouet, a superb crumbling Kasbah, built by the powerful Glaoui family in the late 19th century. Although never completed, it is full of ornate Moorish architecture and zellige work. It’s not touristy at all—you will probably have it to yourself. 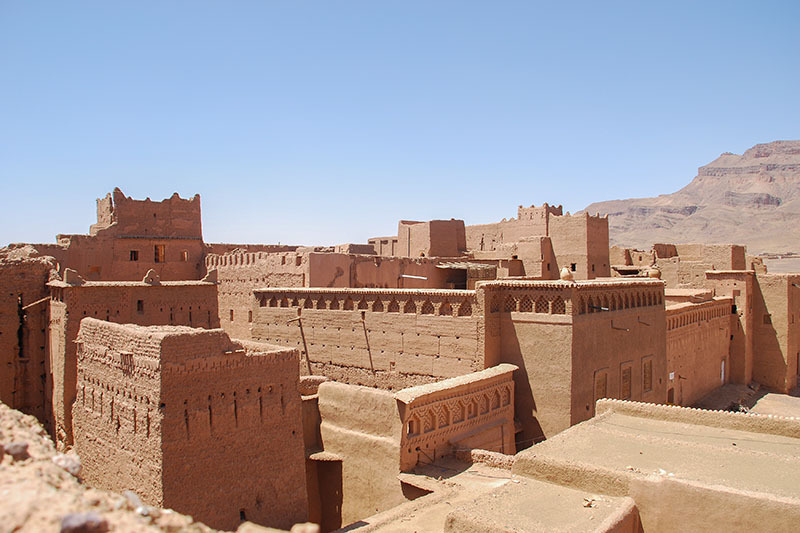 A further 60 minutes is the Ksar of Aït Benhaddou (this is 15 minutes from the main road). This is the most visited Kasbah in Morocco, a UNESCO heritage site and well preserved thanks to funding received from the production of films including Lawrence of Arabia and Gladiator. 8 families live in the Kasbah. It is a great place to visit, but personally I prefer the lesser known, more dilapidated kasbahs, which feel more dramatic and inspire the imagination. 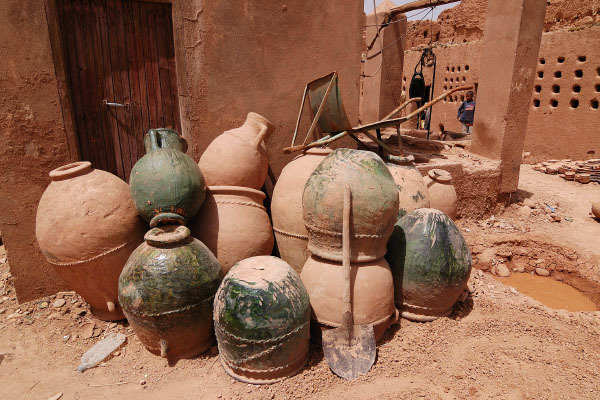 If going direct to the desert, one should stop at either Aït Benhaddou or Tamegroute (see below). 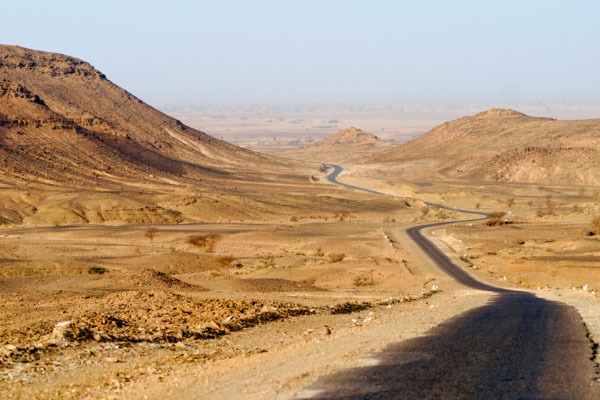 After about 4 hours one reaches Ouarzazate. The name conjures up exciting notions, but it is merely a rather uninspiring administrative centre. The town houses various film studios, of which Atlas is probably the most interesting. If you are into films the props are interesting. If not, move on. 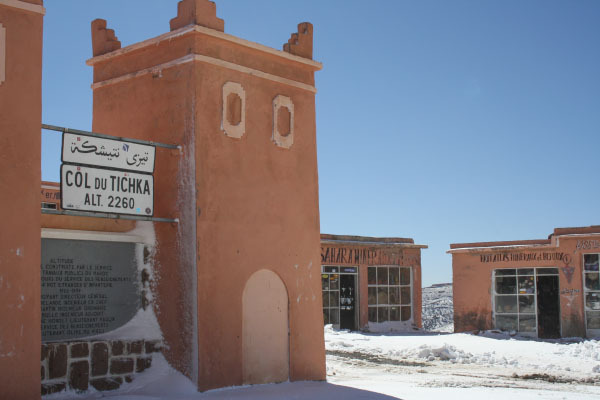 Kasbah Ellouze is about 30 minutes before Ouarzazate in the hamlet of Tamdaght. 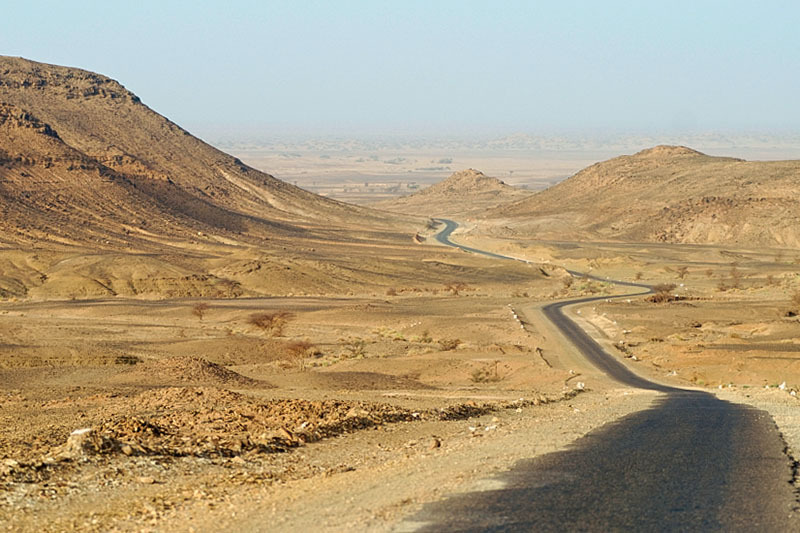 The scenery from Ouarzazate to Agdz (one-hour drive) is full of dramatic rock formations. The film Babel was shot here, although I can never work out exactly where. Five kilometres after Agdz is Tamnougalt. 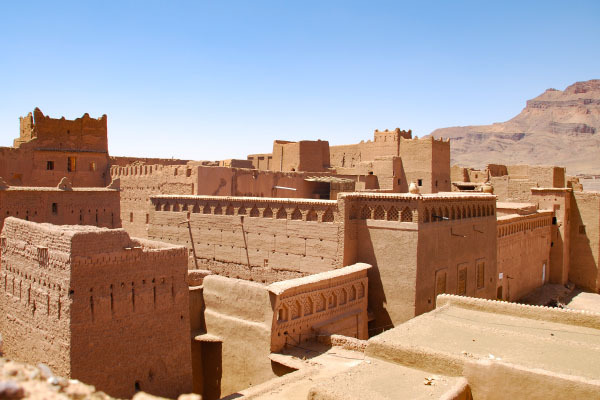 This is a superb kasbah, being the original capital city of the Mezguita region and the home of various local governors. Telouet probably has more ornate architecture, but Tamnougalt is more accessible. There is also a lovely café here with superb views over the palmeraie. 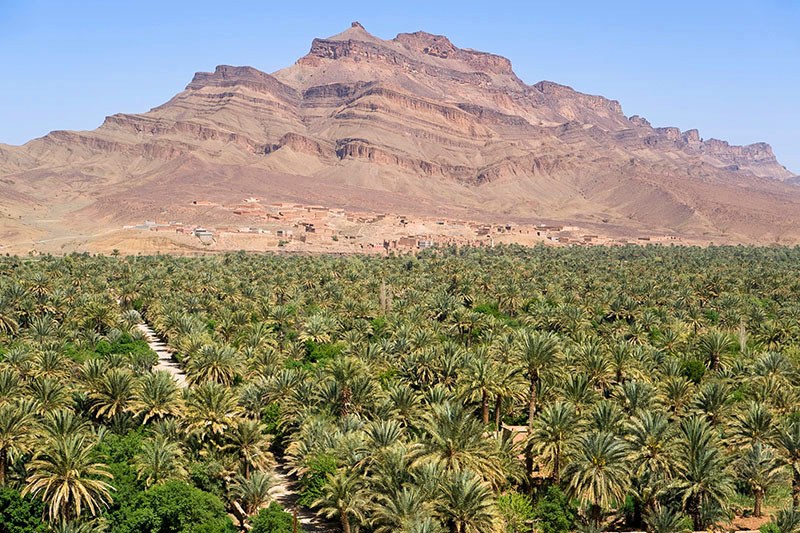 You follow the Drâa river from Agdz to Zagora (1½ hours). There are over 3 million date palms in the Drâa, and 18 different varieties of dates. The people that live there are a mixture of Berbers and Arabs. There were also many Jews, the kasbahs all having a mellah (Jewish quarter). The Drâa, at 1,100km in length, is the longest river in Morocco, rising in the High Atlas and following a route to the Atlantic. Following the construction of a dam near Ouarzazate it now flows until Zagora, although after snow melts and rains it can flow into the desert. 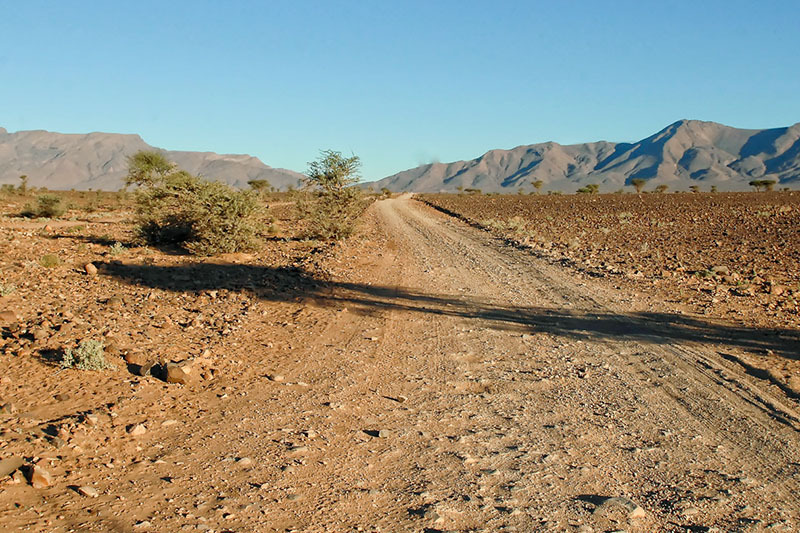 After Zagora, it slowly gets more arid. After 15 minutes you reach Tamegroute, home of a zaouia (Islamic religious school) and Koranic library which you can visit. 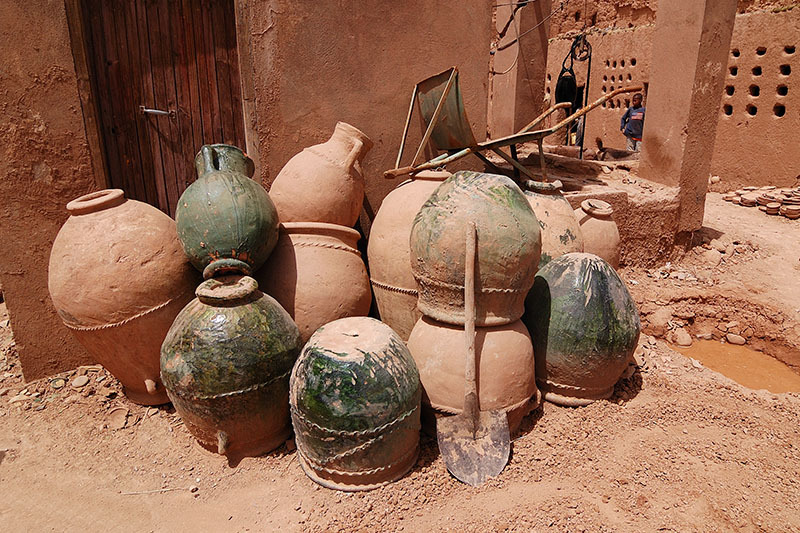 The religious brotherhood also set up with the help of craftsmen from Fes a pottery, famous for its green glaze. You can watch them make the pottery at the kilns (where it is mercilessly hot) and also purchase all sorts of plates and tableware at the adjacent shop. The tar road ends in M’Hamid. It really feels like the end of the world. M’Hamid has a lovely palmeraie, which somehow survives thanks to an elaborate system of channels which captures all available water. And then its off-road to the camp—the desert has arrived. The return trip is normally via Foum Zguid. It takes about 1 hour less, and is about 100km shorter in distance. The route is more direct and quite different in character. There are less places to stop and sightsee, but the scenery is as equally dramatic. From Foum Zguid it is one hour on a mainly traffic free road to Tazenakht, which is the carpet making centre of the area. The scenery is again awe-inspiring, being a mixture of heavily weathered rocks and palmeraie. Tazenakht is a good place to purchase a rug or two, or just have lunch. 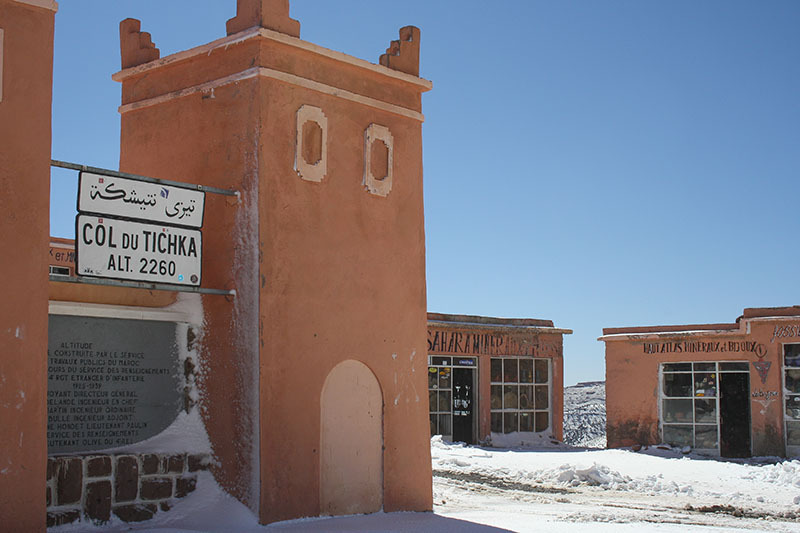 From Tazenakht, it’s one hour to the main road which you join 40km north of Ouarzazate. Look out for the petrol station, which looks like something out of a spaghetti western but is in fact a prop from the film The Hills Have Eyes 2. And then it’s back over the Tizi n’Tichka pass to Marrakech.